Soledad McNally, Director of Traffic in Buenos Aires City Zárate, led a connection on Route 193 over the weekend, She got drunk and strove the police who made the breathalyzer tested to his husband, the car driver. The incident occurred on Sunday, at mile 83 of the rising Campana, when Volkswagen Vento where McNally and his partner travel, Angel Rodrigo Derosso, hit the back of a Ford Fiesta with four passengers. Soledad Mc Nally, Head of Transit de Zárate. According to the police report issued by the Zarate bottle decision, the agents who arrived at the scene were prepared to test the blood alcohol for the protagonists of the crash and McNally, "in a bellicos and provocative way", tried to avoid being tested. Apparently, the woman explained that "being a municipal official, no intervention should be done." Also, "the sources clarified. "he spoke inconsistencies product of alcohol ". The check ended with giving a result 1,050 for the driver, which doubles the allowed limit. The companion gave 0.60. 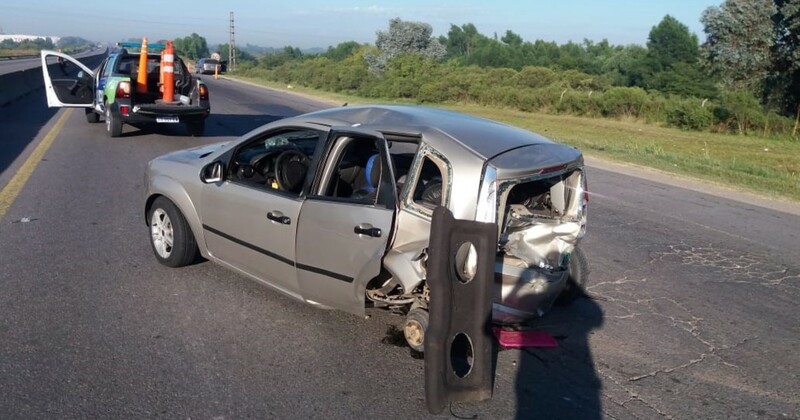 Three of the four passengers in the Fiesta, including a younger than 12 years, ended up in a hospital in the area of ​​injuries. It happened on the outskirts of town. To the same extent, the Derosso assistant secretary of the UOM delegation is attributed to Zarate and Mac Nally of the offense with the victim.